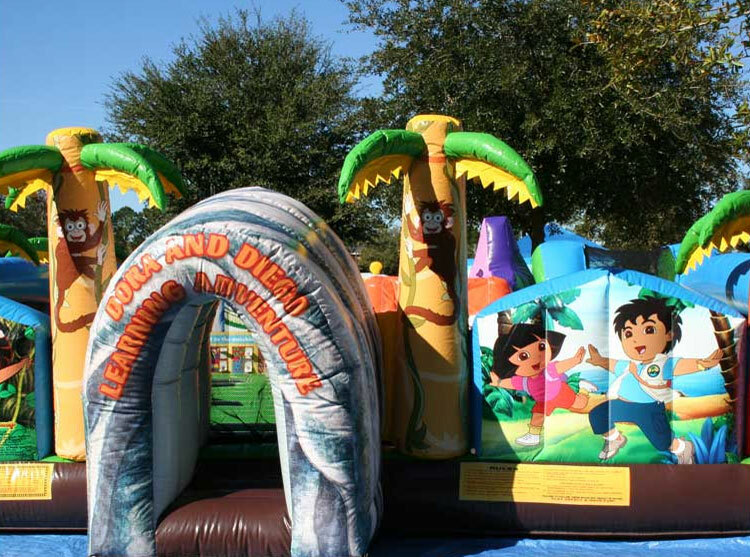 Dora and Diego Learning Adventure is a new and improved playground that offers fans of Dora the Explorer and Go Diego Go! educational playtime. A picture game with Dora's friends will keep them entertained, along with a counting game that matches images with numbers. A large ball pool gets young explorer's the opportunity to match colors, and the always entertaining 3D climbs include a jeep to navigate the terrain. 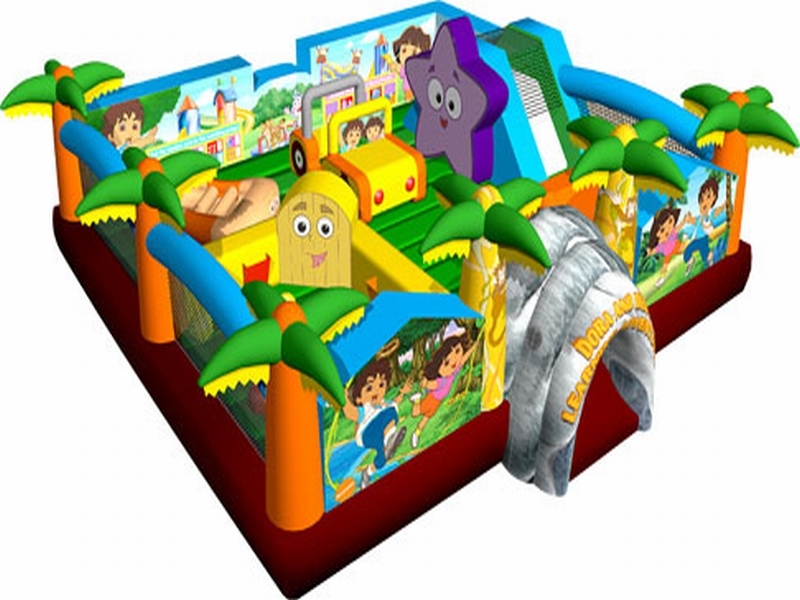 Palm trees, in 3D and on the artwork encompass the inflatable play structure, along with depictions of Dora and Diego collaborating on their adventures. This inflatable game can be an ideal for any backyard party. 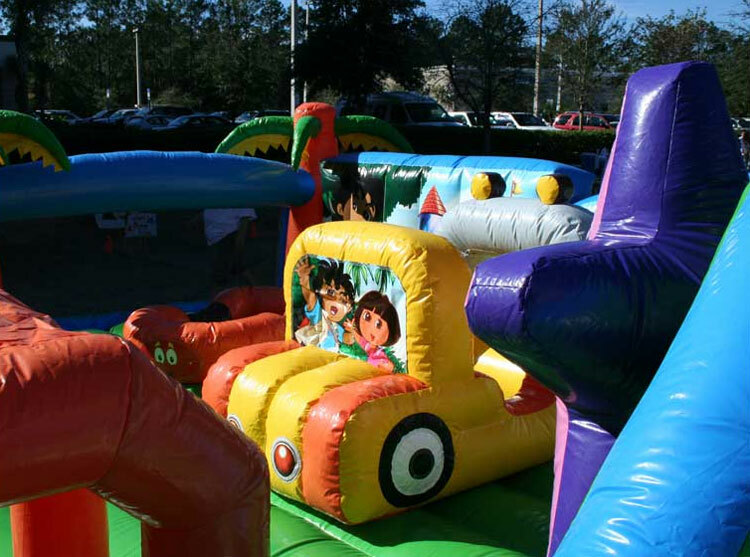 The inflatable play structure takes participants up a climb and down a slide and past pop-ups to facilitate maneuvering skills and build confidence. The character-driven inflatable play structure guarantees hours of enjoyable physical activity. Each game has mesh windows for easy viewing, and is constructed of the fire-resistant, lite n' strong™ vinyl for easy portability, durability and safety.